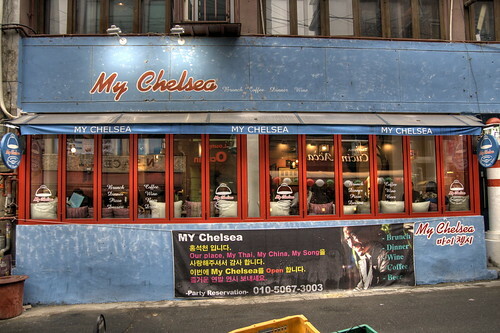 The erstwhile entertainer now owns five bars/restaurants in the Itaewon area, all within a five minute walk of each other: Our Place, My Thai, My China, My Song and My Chelsea. I've eaten in My Thai and My China and have been pleased with the meals I've had. As for My Song, I think it's a karaoke wine bar venue sort of place, located above My Thai. Long live Emperor Hong, may he continue to feed us all!